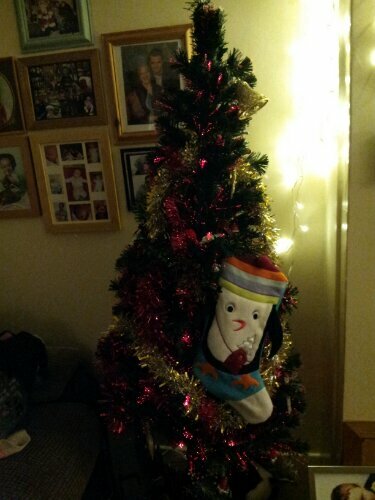 So its the 10th of december and we have our tree up, fully decorated by the children. It may not be as pretty as it could be but the kids are so proud of it. Im trying to get into the Christmassy spirit so treated myself to a manicure with gel polish. 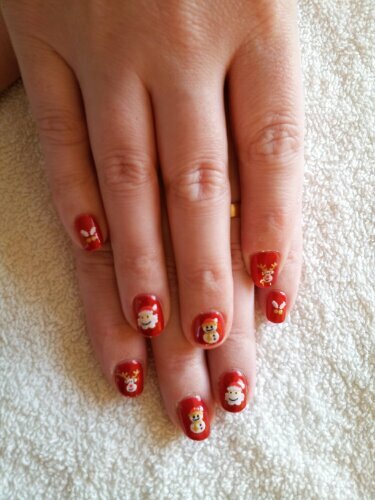 The beautition is mobile so she came to my house which was brill and i have to say its the best manicure I have ever had. Look at my christmassy snowmen and santa and christmas trees. I had my eyebrows waxed too and she doesnt use ‘normal wax’ i think she said it was Gel based. 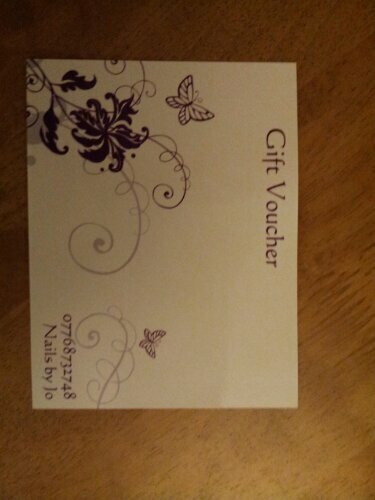 For anyones local ish I will upload her contact details incase anyone fancies a pamper. I have no idea how to make this the right way up lol but it is readable lol. I was talking to someone today and mentioned my tag of still smiling, we talked about how smiles are contagious and regardless of how your feeling a smile makes you feel beter, even if it just for a second. I then found this quote and fell in love with it. A smile can hide so much…Fear, pain, sadness, tears…But then again, they all reflect on one thing. Strength. This is so so true, and I think we use a smile to hide a thousand things, sometimes you need too look into someones eyes and ask how they really are. I was trying to thing of something profound to follow the above, but i think it says it all. Still smiling, thank you for reading. Great quote. You should link this post up to my Wednesday words linky. It’s for bloggers who write posts with quotes, lyrics or poetry. I have a similar quote on mine today – about strength.